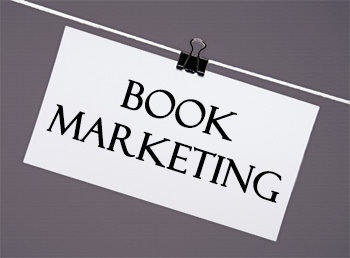 Why is Book Marketing Important for Authors? With thousands of books being released in the U.S. each day, book marketing is more critical for authors than ever before. Not only does it help drive sales of books, but publishers often require that authors have means of marketing themselves to their readers. Websites, newsletters, and blogs are all things publishers look for when selecting an author to work with. They want to know that your book will essentially “sell itself”. Social media is changing the way authors engage their readers. Where they would once have had little interaction–aside from book signings and promotional events–now readers can interact with their favorite authors on a daily basis through the power of Facebook, Twitter, Pinterest, and Google+. This means that authors must constantly self-promote in a way that engages fans without “overdoing it”. Create a Facebook Page. This page should be about you as an author, not your personal life. Post book release dates, invite readers to help name a character or setting in your next book, and post quotes from your work. Always remember to be genuine when interacting with your readers. Sign up for Twitter. Tweet special books news, quotes, and retweet fans who mention you or your books. Create a Google+ page. Link your page to Google Authorship and add other authors to your circle. You can also start a Google Hangout where you can video chat with your fans to answer questions, announce special books news, or do online book readings. Sign up for Pinterest. Create boards for your books, pin writing advice for aspiring authors, and post books by other authors that you’d like to recommend to your readers. Create a Youtube Channel. If you have someone who can create a book trailer for you (sometimes publishers do this for you), post these here, as well as any Google hangouts you host with fans. Create a LinkedIn Account. A great place to connect with other authors and share ideas. Hold contest for readers on your social media sites. Social media sites are a good way to engage potential new readers by holding giveaways and contests to get folks excited about your next book. Do a virtual book tour. Can’t do a week-long book tour across America? Hold a virtual book tour by guest blogging on other author’s blogs, hold a Google Hangout to interact with fans, and do giveaways where you send fans signed copies of your book. Content sharing. Struggling to figure out what to post to Facebook, Twitter, etc.? Sharing content from other authors is a good way to keep up with posts without putting forth much effort. Plus, authors your re-post are more likely to share your content in the future which can get you new followers! Best of luck promoting your next book! Get a website and domain name where your readers can reach you as well.